« It’s a Bead thing!!!! I know that it has been a while since I posted an article on knitting, but I have been busy redecorating my home. 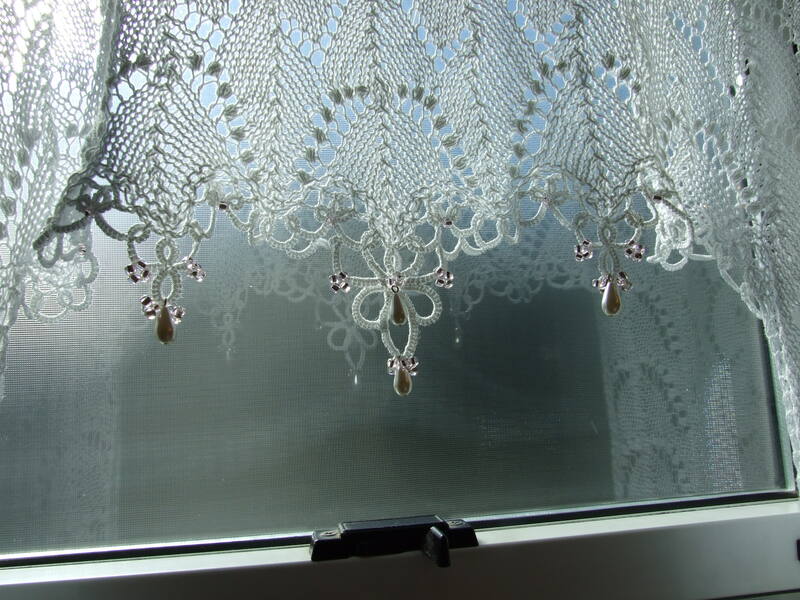 Of course that called for a new lace curtain for my bathroom. I used the valance pattern that I recently posted, then added a tatted edge with beads to bring a little sparkle into the room. Here is a close-up of the center section. It was definitely a fun project. Though this pic is a bit darker, it gives you more of the overall affect. The actual wall paint is a very light rose color. * Just so you know, the two angled mini-stripes under the wall art are reflections off a mirror. Using the combined crafts gave me lots of options for the finish. The setup was crocheting loops of 5 sts each, and spacing them equally across the bottom edges. Next, I just played with different ideas until I came up with the combination that allowed my work to lay as flat as possible, and positioned my beads where they would accent the arches to their max. For those of you who tat, that combo was basically; 9ds chains, and 4/4 rings which were attached to the centers of those crocheted loops. 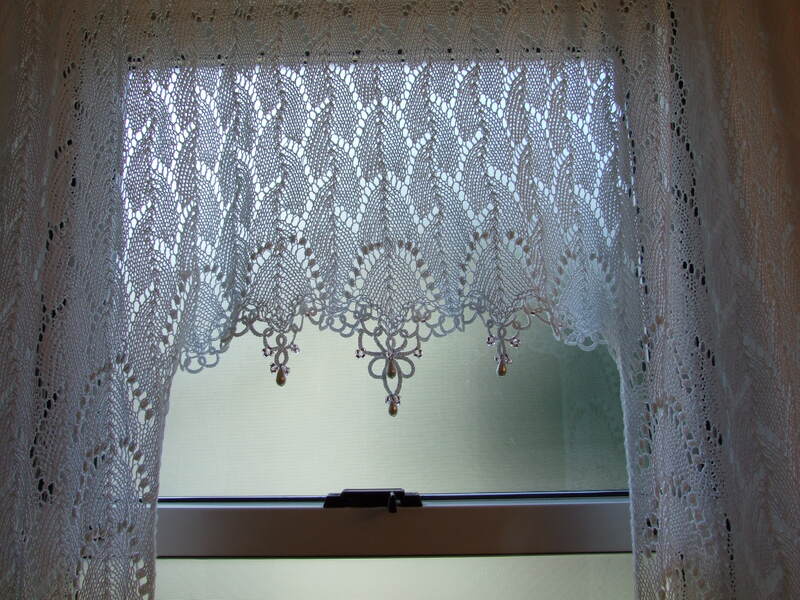 As for the knitting pattern- I used the same chart as for the Large Lace Curtain Valance, accept that I only used one repeat of the five arches in the center section. I also decided not to stack them, as in the original design. My next project is to tat some pink and silver butterflies to grace my adjacent walls. I hope this gives you some ideas to play with. that is really gorgeous! great job! Really beautiful! I love the lines of it.